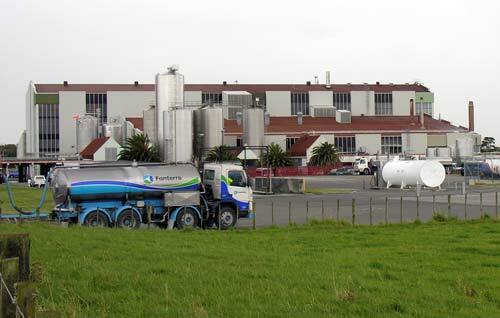 The Longburn meat-freezing works closed in 1987, but the dairy factory survives, and produces a variety of products. One of my brothers worked at the previous Longburn dairy factory and used to bring blue vein cheese home for my parents now and again. In 1970s Palmerston North, that was classy living. Pretty sure the move to this newer factory brought extensive automation and had a big impact on the work force.